Marco Massarotto is a succesful Italian digital communications entrepreneur, founder and leading one of the largest Italian digital marketing agency DOING, working for top European brands and being a special digital advisor for EXPO MILANO 2015. 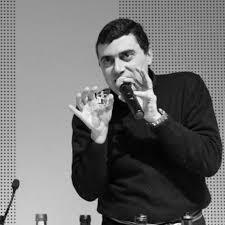 In 2011 he started an NPO (non-profit organization) to promote sake and traditional Japanese foods in Italy and in Europe (“La Via del Sake”). Since then he dedicates part of his time to La Via del Sake who has become a successful organization in promoting and presenting Japanese culture in Europe. In July 2015 Marco has been nominated “Kyoto city tourism ambassador” by Kyoto Mayor Daisaku Kadokawa. In 2016 Marco became certified WSET® instructor for sake. In 2016 he receive the award of “Sake Samurai” by the Japanese Sake Makers Association.